Weather: The San Joaquin Valley is starting to cool down little by little to the low 90s and upper 80s as we are ten days away from the official last day of summer and first days of autumn. · We wait an extra week longer than others to pick grapes, allowing them time to go up a few more points on the brix meter. The quality, size, and taste of these grapes are hard (impossible?) to beat! · We go to great lengths to grow excellent late season peaches and nectarines. · Nectarines will be in good supply through September, and are still wowing us with their flavor and color. · We’ve spared no expense to grow colorful, flavorful, and juicy peaches. More fantastic late season peaches are still yet to come! · Plum markets are getting tighter, but we will have Angeleno black plums through September! · Juicy, red pomegranates will be in supply until November. Attention Buyers, Merchandizers, and Produce Managers! Fall shelf space gets tight for stone-fruit, a winner for the bottom line of the produce department. Traditionally, changing to the fall set means retailers lose some space for these items, which have good margins and returns. Our solution is to give you creative and cart-stopping shelf space FOR FREE! What if you could have your cake and.. (better yet) stone-fruit and sell it too? Contact your sales representative for more information about our solution! In an attempt to keep out readers informed of not only what's harvesting now, but what's coming up, we're launching "In the Pipeline" to feature those updates. Above: Kent Huckabay & Tom Brandt surveying a mandarin grove near Reedley, CA. Are you ready for Citrus? Our Rascals Mandarins made their debut just a short year ago and are about ready for a return performance this fall! Rascals Mandarins, along with our Brilliant Meyer Lemons & Lemons will be available in October! If you would like to learn more about our citrus program, contact your sales rep today!, or call citrus sales at 559.391.9090. 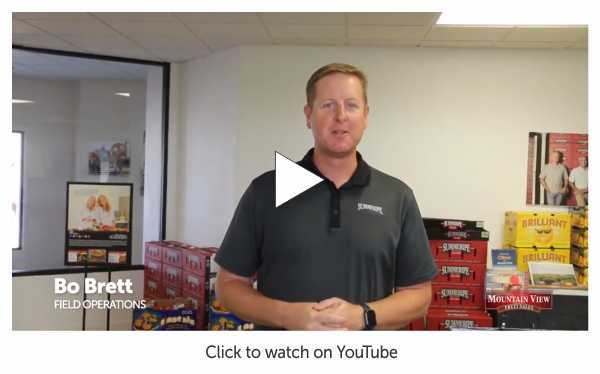 We create a "Playbook" to help our partners promote all season long. We feature our playbook promotional content in our Focus to keep our resources at everyone's fingertips all season long. 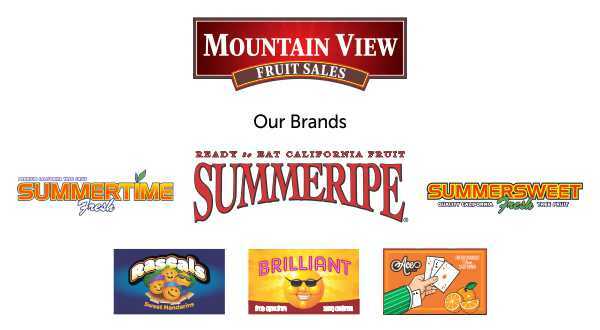 If you would like more info about merchandising, promoting, or educating consumers about our fruit, don't hesitate to reach out to our marketing department at marketing@mvfruit.com or call us 559.637.9933. Our late season peaches have been growing all season long and are now ready for harvest. The time spent on the tree growing longer than other varieties makes them some of the most special of the year. 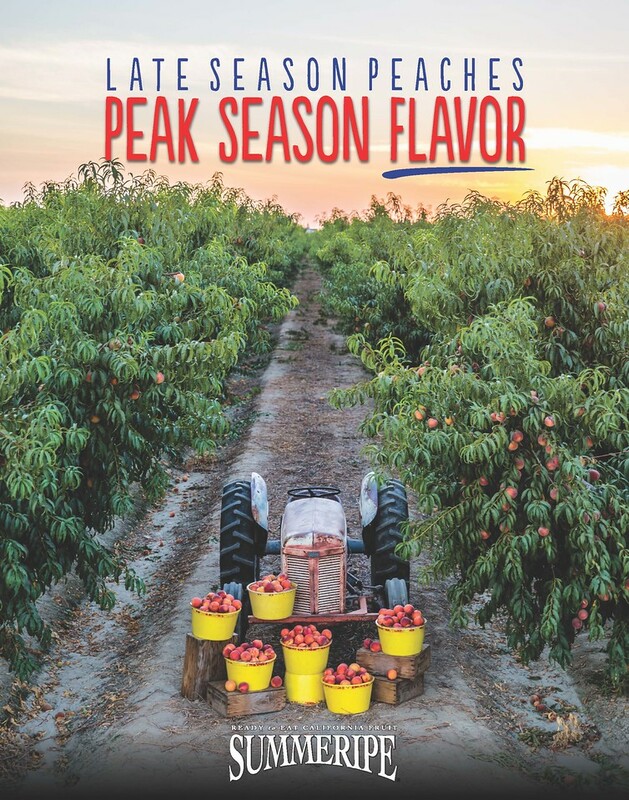 Freestone, and very sweet, late season peaches bring PEAK season flavor! Contact your sales person for details. Contact our marketing department today to build a custom promotion for your stores!